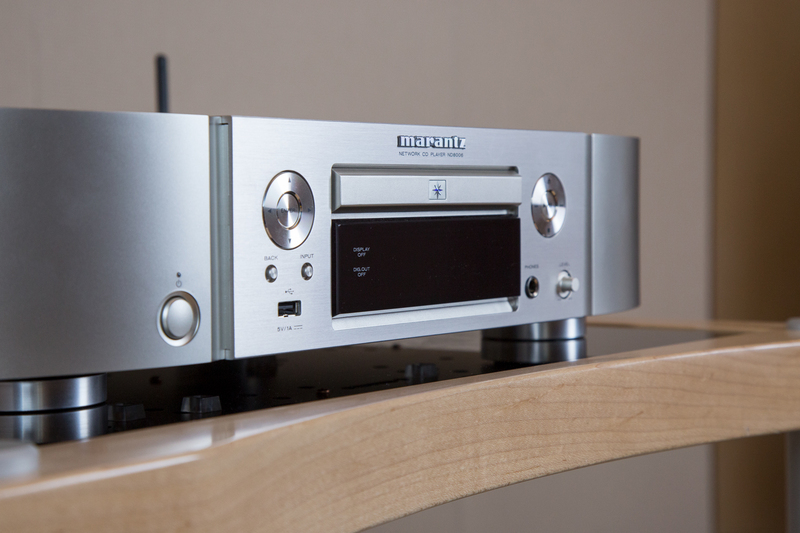 Some time ago, Marantz introduced the ND8006 to the world. It is the first all-rounder network CD player from the Japanese company. An obligatory feature is of course the CD playback and streaming from network and Internet – of course in high resolution. Since the all-rounder has some other highlights in its luggage, there is a brief overview and a few first impressions. Where previously several audio components had to be used for different playback options, the ND8006 was designed to combine all functions. Thus, he offers a variety of options to play the favourite pieces of music. In addition to the first-class playback of CD or CD-R / RW (MP3, WMA, FLAC and others), the player runs via his digital interface music from the home network. Also from a USB memory can play music. Since the USB digital input has a noise cancelling circuit, playback sounds remarkably clean. In addition, features such as Internet radio playback and streaming services (such as Spotify, Amazon Music, Deezer and TIDAL) are available. 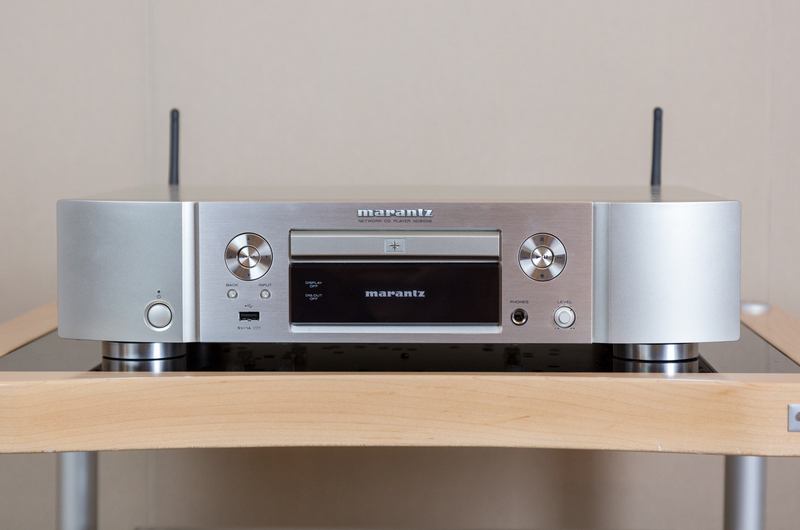 On top of that, the ND8006 incorporates HEOS integration, making it ideal for multiroom use throughout the home or individual rooms – a feature that is now available for the first time in a Marantz stereo product. With the DAC functionality, computers can be connected directly. The D / A converter works with 192 kHz / 32 bit. 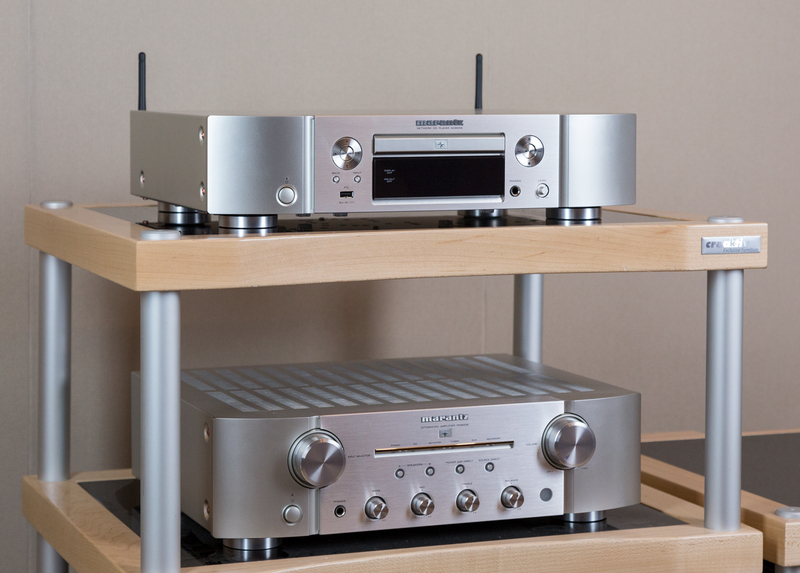 The predicate as an all-around audio component earns the ND8006 thus rightly! The world of portable players was also considered. The ND8006 has Bluetooth as well as Apple AirPlay. That makes him a future-safe companion. The high-end player has two analogue outputs. One of them is with a fixed level and thus ensures the connection to a complete amplifier. The other one has a variable output level and can be connected to an active speaker or a power amplifier. In addition, the ND8006 has two optical and one coaxial input. Noteworthy is also the dedicated headphone amplifier. It has the same high-quality amplifier technology as the main audio circuits. In addition, the gain is freely selectable, which is why a large number of headphones with the ND8006 can be used. Of course, the all-rounder impresses with the highest sound quality. This is created by the company’s Musical Digital Filtering. 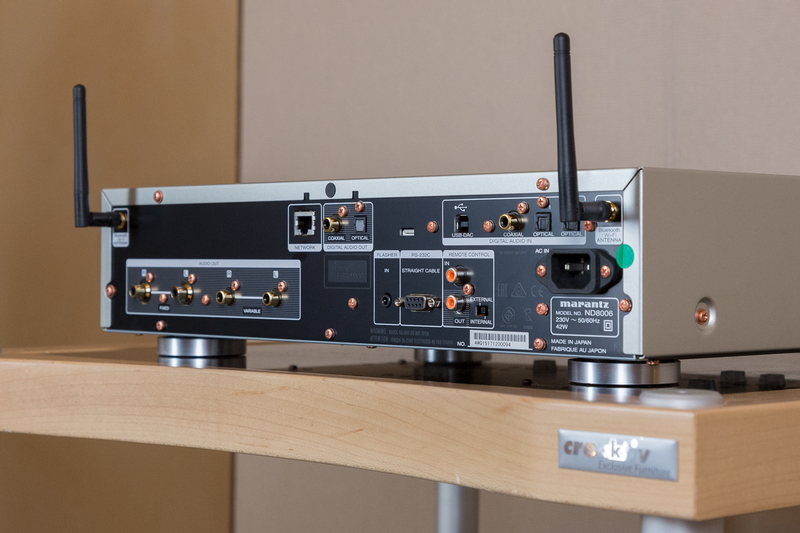 Also, the connected devices can transmit a signal to the USB input of a noise-isolating circuit and the audio entries are directly blocking overlay phenomena. With its own amplifier module, the so-called Marantz Hyper-Dynamic Amplifier Module (HDAMs), also the analog circuit was considered. Closing, the device includes a shielded toroidal transformer that minimizes internal noise. The whole thing is carried by sturdy feet, which have as little to do as to eliminate noise. All this leads to a best possible and a unique sound. 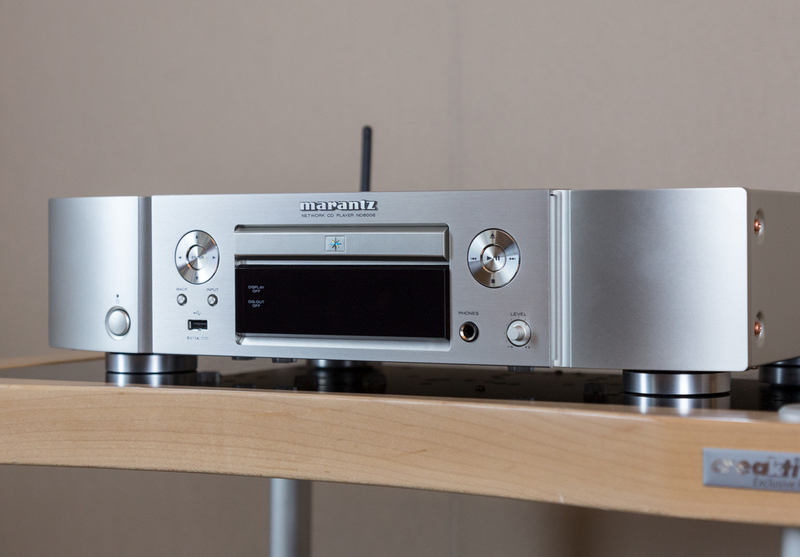 The new network player from Marantz is available in the usual silver-gold and black version. He also visually complements the already known models. It is controlled via remote control, the buttons on the housing and of course the mobile app. Everyone will be particularly pleased with Alexa, because the ND8006 can also be operated via their voice control. Outstanding sound, chic look and countless playback options – that sounds like a recipe for success.